North-West University in Potchefstroom and Stellenbosch University. What did you study and for how long? First a BA degree with communications and psychology as majors, then a BA Honours in Afrikaans-Nederlands, a BA Honours in Psychology and a B Phil in Journalism. Welkom in the Free State. I’ve always loved telling stories. Initially I wanted to become a psychologist to get into people’s heads. I wanted a CV done professionally and saw an advert on campus in Stellenbosch, placed by a woman who did professional CVs. She happened to be the secretary of the department of journalism and she took me to see the head of the department, who allowed me to do the degree. I quickly fell in love with journalism. What are the benefits and challenges of this career? You see the world and go to places you’d never ordinarily go. I’ve been to America and the Maldives, places I wouldn’t have visited if I weren’t a journalist. You’re away from home often and there are no office hours. You work most weekends and people are sometimes rude to journalists. You need a thick skin. What characteristics suit this career? Inquisitiveness and perseverance. You must be determined to get the information you need. You must love reading and want to know more about the world around you. Generally, what’s the pay like? You have to work for a long time – about 10 years – before you’re earning more than R15 000. What advice do you have for prospective journalists? Read, read, read. Treat people with respect and try not to burn any bridges. A journalist is only as good as their contacts. Cultivate good relationships with experts. Don’t misquote them because they talk among themselves and before you know it no one will want to talk to you. What school subjects do you need to study journalism? Languages, history, geography, science – anything that will make you more informed. And learn to type. How satisfying is your career on a scale of one to 10? 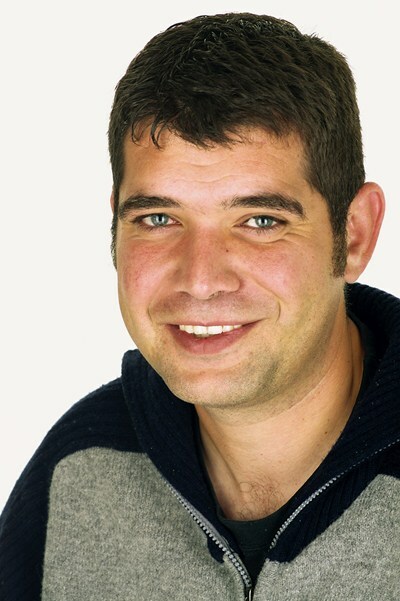 Pieter van Zyl is a senior journalist at Huisgenoot.